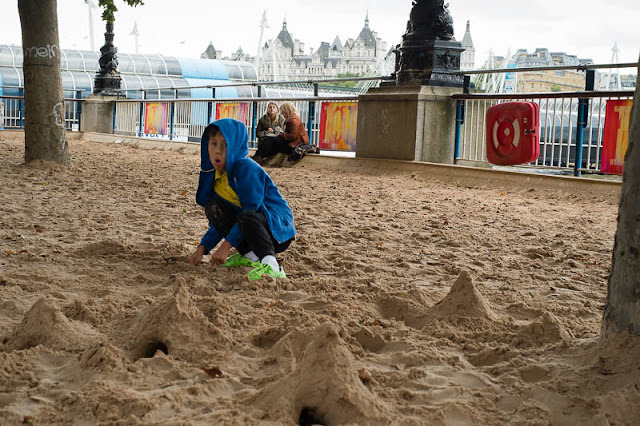 Making the most of the summer beach of Southbank. Good on him! Looks like he's making a lunar planet there Mo! Looking at the background- quite a setting for playing in the sand!